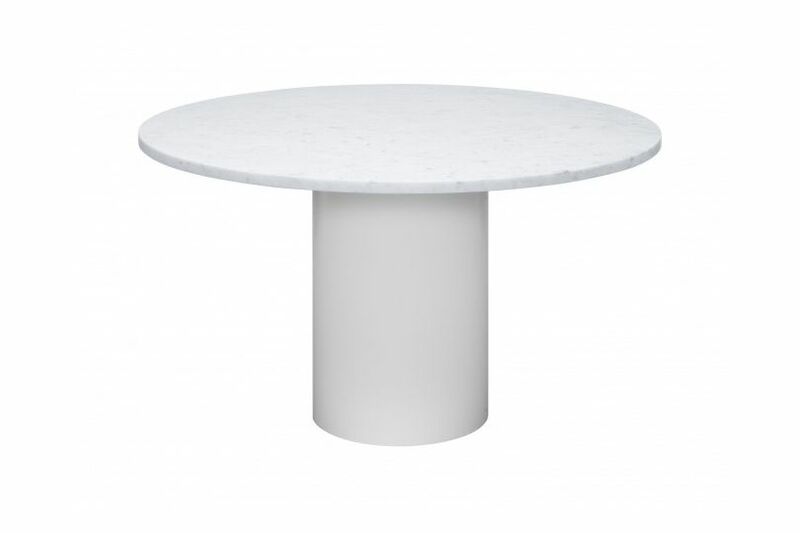 Hiroki is a sculptural round dining table made of rich marble in combination with a harmonising or contrasting coloured steel base. Marble top equipped with a matt oiled finish, which is protective, yet requires maintenance. In its initial design based on the side table Enoki, the versatile Hiroki extends the family of tables with an elegant and distinctive character in classic and inventive colour combinations. The table Hiroki entertains as a functional and playful piece. With its well-balanced proportions and 30 mm thick marble top, the round Hiroki offers un-restrictive seating for up to six people. The projection of the table top measures 450 mm, thus offering ample legroom. The marble top is equipped with a matt oiled finish, which is protective, yet requires maintenance. To avoid scratching of the floor, the table is fitted with a felt ring and delivered in two pieces.